The Nigerian geologist, Eugene Okpere, currently Shell’s Vice President Exploration for South America and Africa, is proceeding to a new job assignment in Trinidad and Tobago from January 2019. Okpere is currently based in the Upstream Division in The Hague, Netherlands. He will be taking charge as the Managing Director for Shell Trinidad and Tobago, in Shell Energy House, St Clair, Trinidad, in mid-January. 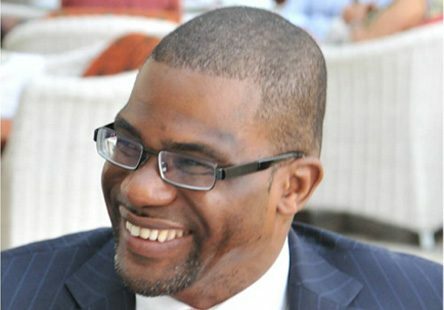 Prior to his promotion to his current job, Okpere was Shell’s Vice President Commercial &Business Development for Sub-Saharan Africa. The 1990 Bachelor of Science graduate in Geology from Nigeria’s University of Benin, has had an intriguing career in Shell, since he joined the Anglo Dutch major as Seismic Interpreter/Operations Geologist in 1992. He actually left Shell for Sasol in July 2009, spending close to four years in the upstream division of South Africa’s largest petroleum/petrochemicals company. He literally walked back to pick up where he left off in Shell in 2013. The move to Trinidad and Tobago is a leap in Okpere’s career fortunes. Shell has been in that country for over a hundred years and at a point was the largest private sector employer. Its footprint was reduced when the state nationalised the oil industry in 1974. Things began to change in the last five years. First, in 2014, Shell acquired the Spanish player Repsol’s 20% – 25% non-operated interest in Atlantic LNG. With the completion of the combination of BG Group and Royal Dutch Shell in February 2016, Shell assumed a major Upstream position where gas is supplied to both the petrochemical and LNG sectors and a majority interest in Atlantic LNG across the four train facility. Shell is now present in seven offshore and onshore blocks (both operated and non-operated) as well as pipelines and a larger presence (around 50%) in Atlantic LNG, which was built in 1995 and was, at a time the world’s largest liquefaction facility; today it is the sixth largest LNG exporter in the world.